Warm Tomato-Feta Cheese Salad Recipe at Cooking.com. Pasta goes Greek. For a stronger and more authentic Greek flavor, use kalamata olives rather than pitted ripe olives. If you refrigerate any leftover salad, bring it to room temperature before serving. Drain chopped tomatoes in a strainer for 15 minutes to remove excess liquid. In a large mixing bowl whisk the olive oil or salad oil into the lemon juice. Stir in oregano, garlic, and pepper. Add drained tomatoes, olives, and feta cheese. Toss to mix. Let mixture stand at room temperature for 30 minutes. Meanwhile, in a large saucepan or pasta pot bring 3 quarts water to boiling. Add pasta. Reduce heat slightly. Boil, uncovered, for 10 to 12 minutes for dried pasta or 2 to 3 minutes for fresh, or till al dente, stirring occasionally. (Or, cook according to package directions.) Immediately drain. Return pasta to warm saucepan. Add tomato mixture to hot cooked pasta and toss to mix. Serve immediately. Recipe reprinted by permission of Weldon Owen. All rights reserved. Combine all the ingredients in a bowl of a food processor, process until smooth. Use the reserved chickpea liquid if needed. In 6 oz. canning jars or any clear container begin by layering with the red bell peppers, next the hummus, then pepperoncini, olives and topped with feta. Garnish with a cucumber slice and sprig of fresh oregano. I cook and bake. I live in Greece. Therefore, I owe you a phyllo post. There is a certain degree of difficulty to this, but to reassure you: the first time I made this, it worked great and S, an actual Greek person, raved. So, don’t be scared. Phyllo pies are among the favorite of all Greek foods. 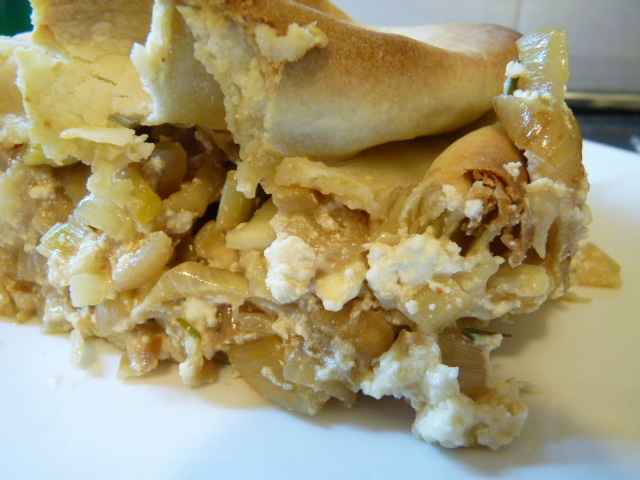 The most well-known outside Greece are tyropita (cheese pie), spanakopita (spinach pie), and their combination, spanakotyropita (spinach and cheese pie). But there are dozens of these phyllo-dough based pies in Greece. They vary a bit by geography but their basic concept is the same: a few sheets of phyllo dough on the bottom, some sort of filling, and a few more sheets of phyllo on top. Then there are the portion-sized versions, where the filling is wrapped up in phyllo dough. 3 cups chicken stock or more as needed. Mix the meat, rice, egg, parsley and mint in a large bowl. Saute the onion and celery in the butter until translucent. Cool slightly and add to meat mixture. Add 1/2 cup of the chicken stock and season to taste with salt and pepper. 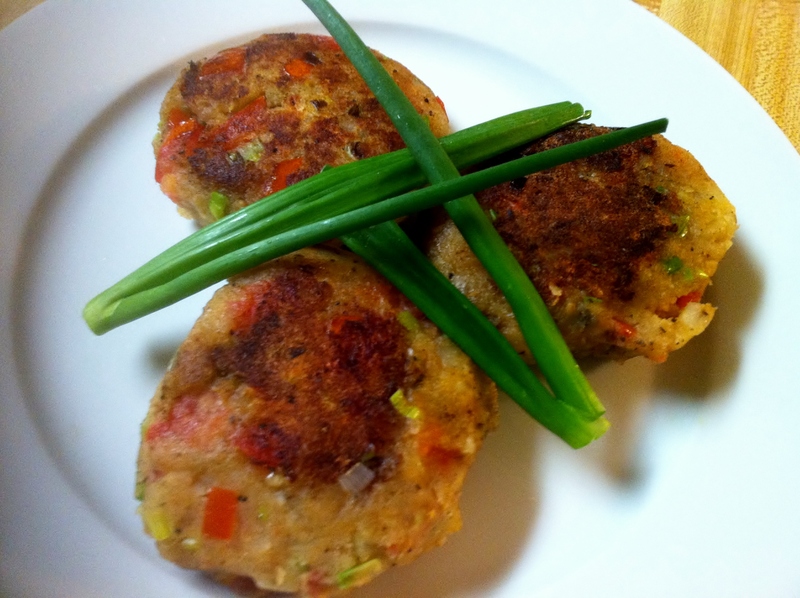 In traditional Greek cuisine Keftedes are made from ground meat, typically either lamb of beef. It’s combined with a couple finely diced vegetables, spiced, rolled into balls, and either seared or roasted as a shish kabob. This recipe takes the concept, along with many of the flavoring components, and applies it to potatoes rather than meat. The ingredients are startlingly basic, but nonetheless create a robust flavor profile when combined against the relatively mundane backdrop that is the potato. The green onions, much milder than their burlier cousins, add a minor, pleasant kick to the mix. The tomatoes provide bursts of juicy sweetness. Finally, the paprika imparts a light smokiness while the other spices round out the palette. And although there are a variety of different tastes in play, none of them are so strong as to overwhelm the earthy potato base. If you had the choice to pay $103.12 or $11.99 for something, which would you pick? A 20 mL bottle of vanilla extract costs EUR 2.75 at the supermarket. 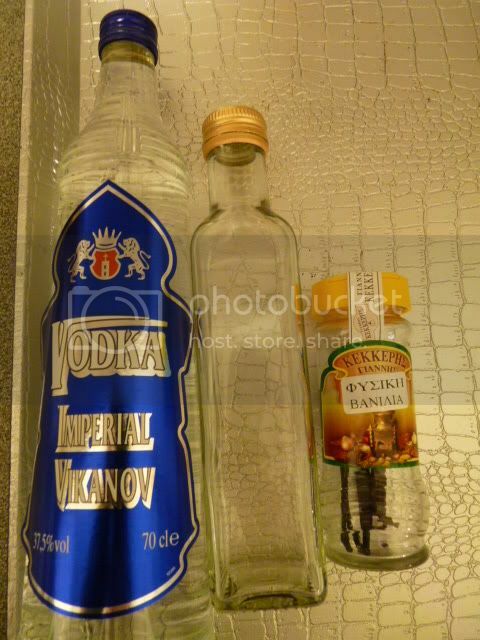 A 750 mL bottle of vodka costs EUR 9.99. Three vanilla beans cost EUR 2.00. I can get 37.5 times as much out of the vodka as I can out of the vanilla extract bottle. So really, this is kind of an easy choice. Nutrition Facts: 1/2 cup equals 86 calories, 1 g fat (1 g saturated fat), 4 mg cholesterol, 18 mg sodium, 19 g carbohydrate, trace fiber, 1 g protein.